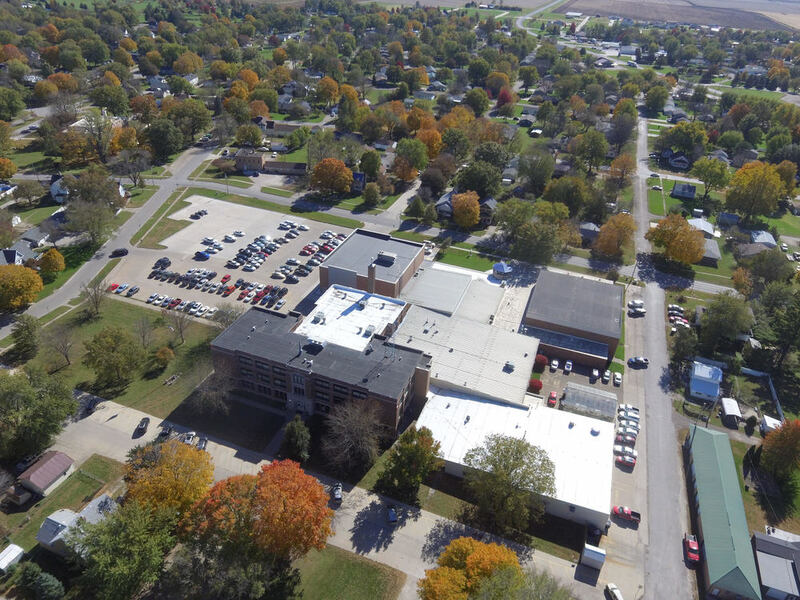 The Wapello Community School District identified a need to replace several roofs at the Wapello Junior/Senior High School. The district has been working with ETHOS Design Group, Inc. from Polk City, Iowa on the development of plans and specifications for this project. This project will be completed in the Summer of 2019. On Friday, January 25, 2019, the district along with ETHOS Design Group, Inc. released the Advertisement for Bidders. A copy of this advertisement can be found on the district website under the Main Menu and then by clicking on the Wapello High School Roofing Project 2019 Link. A direct link for the Advertisement for Bidders can be obtained by clicking here. A Mandatory Pre-Bid Meeting will be held at 11:00 a.m. CST on Friday, February 15, 2019 at the Wapello Community School District Board Room located at 406 Mechanic Street in Wapello, IA 52653. This meeting is Mandatory. Bids will not be accepted if companies are not represented at this meting. Attendance must be noted on the sign-in sheet at each meeting. A facility inspection will take place after the Pre-Bid Conference. Facility Inspections will not be given individually to contractors that do not attend the Pre-Bid Meeting since school will be in session and schools are secure facilities. Bids shall be received no later than 11:00 a.m. CST on Tuesday, February 26, 2019. Sealed Bids shall be hand delivered to the District Board Room, 406 Mechanic Street, Wapello, IA 52653. The public bid opening will take place at 11:00 a.m. CST. Bids received after 11:00 am CST will not be considered. All Bidders will be emailed the official Bid Tab by March 5, 2019. The Wapello Community School District Administration will award a single prime contract to one Contractor. This project includes all materials, equipment, transportation, and labor and support needed to construct the Design Solution, per Drawings and Specifications for the roofing Project listed above. Project items include but are not limited to: Demolition of existing roofing and associated sheet metal. New roofing and related sheet metal, including gutters, downspouts, flashing, and coping, insulation, sheathing, and cover board, roof hatch and roof access ladders, and new mechanical curbs. Limited structural wood framing is needed at the roof hatch. The total are of re-roofing is approximately 28,275 sf. The Scope of Work for this project shall be as set forth in the Drawings and Specifications.